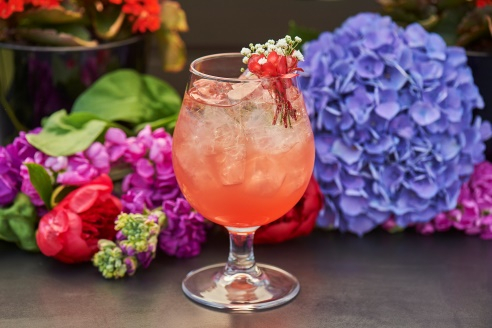 (Hong Kong, April 12, 2019) To celebrate Mother’s Day, Aqua Restaurant Group invites you to treat mum like a Queen with honey-inspired dishes and cocktails. Leave mum feeling nothing short of spoilt with exclusive gifts for those who indulge in weekend brunch from 11th - 12th May. aqua’s mixologists have crafted The Bee’s Knees (HK$118) specially for mum made with Ketel One Vodka muddled with fresh grapefruit, lime juice, Veuve Clicquot Champagne, and Italicus which adds hints of citrus, rose and lavender. Available all-day in the bar, the cocktail is also part of aqua’s special Bee-cause Brunch along with Yuba bean curd and Japanese sweet potato with Manuka honey sesame sauce. Priced HK$688 per person brunch includes free-flow Veuve Clicquot Champagne from 12 - 3pm. Children aged five and under dine complimentary. 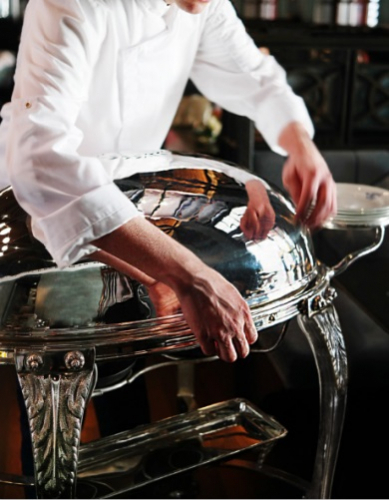 Statement’s antique serving trolley will be carving tableside Oak-smoked Adlington ham glazed with Welsh heather honey and lovingly slow-roasted for four hours. 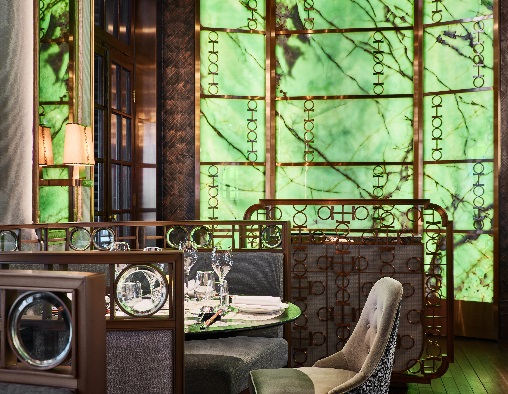 Enjoy for dinner at HK$358 or as a part of the Britannia Brunch from 12 - 3pm priced at HK$628 per person including free-flow Veuve Clicquot Champagne and classic British cocktails. 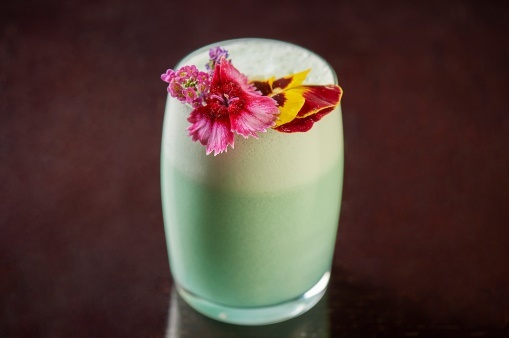 Mother Knows Best (HK$118), is a perfumed libation made with Tanqueray Gin infused with dried hibiscus flowers, lychee puree, aquafaba, lemon juice, honey and plum bitters. Served exclusively on Sunday 12th May, enjoy in the bar or relax on the Parade Ground and Hollywood Road verandahs. 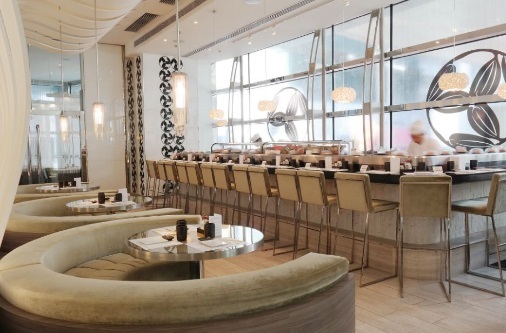 Enjoy a 12-dish sharing menu featuring Stir-fried lobster with ginger & spring onion served with pan-fried egg noodle and Sweet & spicy honey-glazed eel. The Moon Gate Bar will be serving Royal Nectar crafted with Tanqueray Gin infused with lavender, Riesling wine, honey and lemon juice. 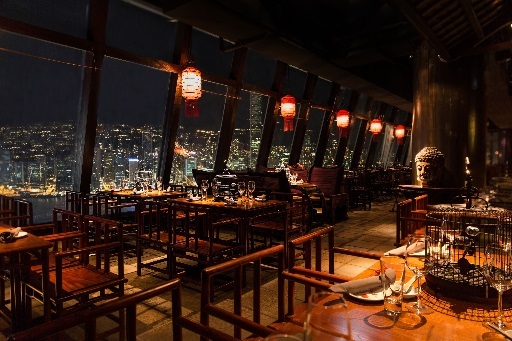 Available from 4th - 12th May, priced at HK$1,222 per person for a dinner group of four or more. On the 11th - 12th May, enjoy a dim sum workshop alongside 18 brunch dishes which include Laoganma chilli fried prawns and Beef tenderloin in Sichuan chilli pepper broth for an additional $268 per dish. Feng Wei brunch is HK$468 per person, add HK$200 per person for free-flow Veuve Clicquot Champagne and cocktails. Children aged 12 and under dine complimentary. Impress mothers with a feast of Chinese favourites. Chef Junno Li will be serving his signature BBQ pork loin glazed with New Zealand Manuka honey (HK$248) alongside Golden beef tenderloin tossed in five spices & Sichuan pepper (HK$248) available for both lunch and dinner. Enjoy limited-edition Botan Ebi white salad roll with shiso wasabi honey sauce (HK$128 for 3 pieces) and crispy Japanese sweet potato and mango tempura with Manuka honey sesame sauce (HK$128). Try this dessert as part of a four-course tasting menu priced at HK$488 per person. Add Ugonotsuki Umeshu Nigori (HK$48) - a rich and creamy Japanese plum liqueur for an added sweet finish to truly spoil mum.